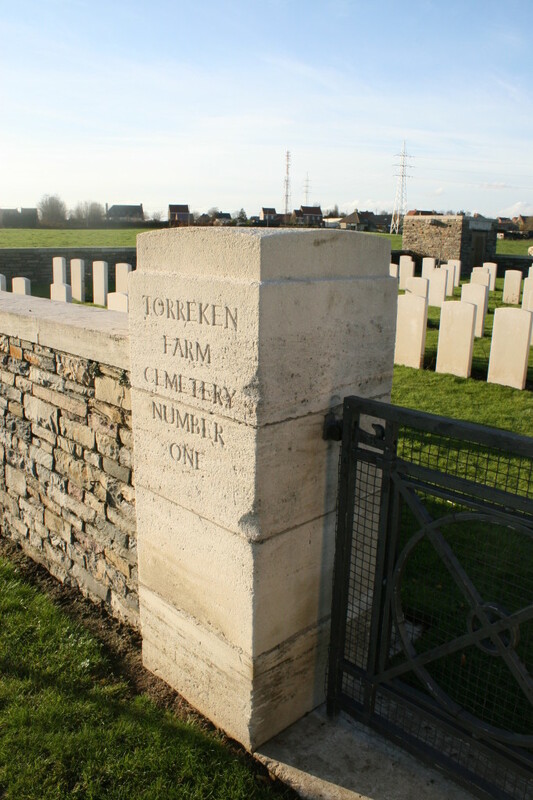 Torreken Farm Cemetery No.1 lies in the fields half a mile north west of Derry House, to the south east of the village of Wytschaete (Wijtschate). 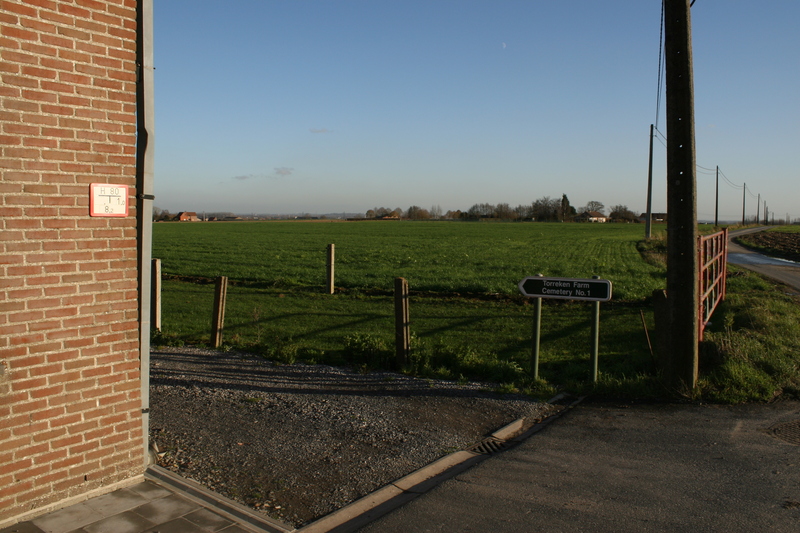 …our route becomes clear. What’s that white sign say? 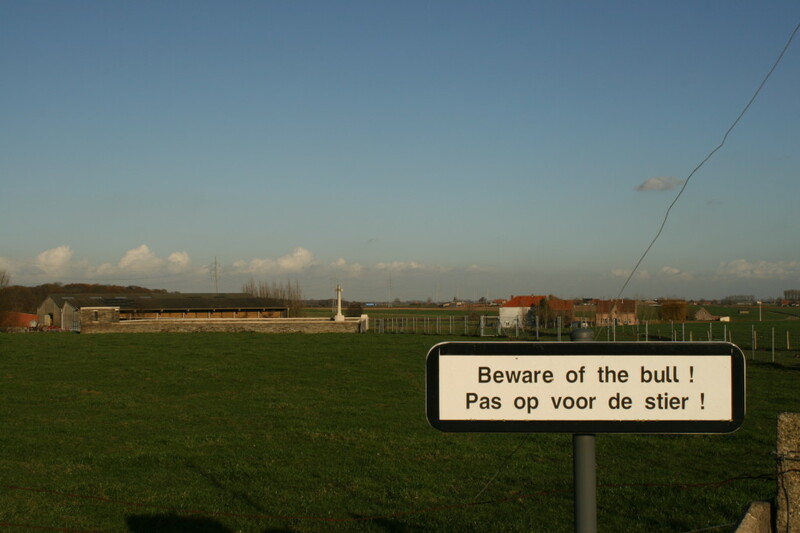 Actually I’d read about the bull at Torreken somewhere prior to our visit, but he didn’t appear to be in the vicinity today, and we reached the cemetery entrance without mishap. 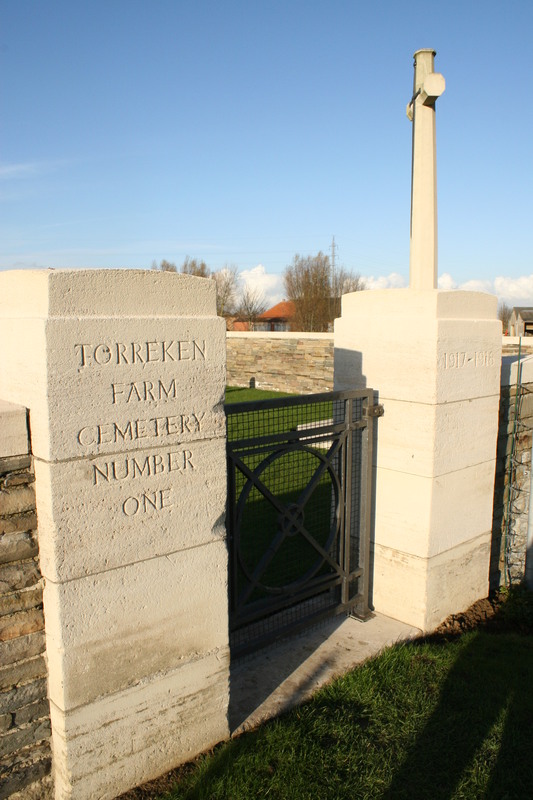 And no, there isn’t a Torreken Farm Cemetery No.2, nor can I find any solid evidence that there ever was one. Anyone else do better? 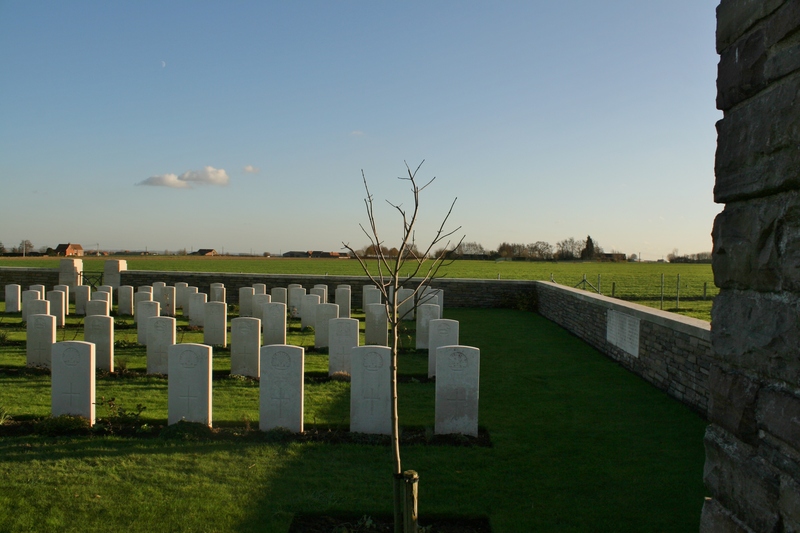 In June 1917 field ambulances of the Dorsetshire Regiment established an aid post in some German dugouts nearby. 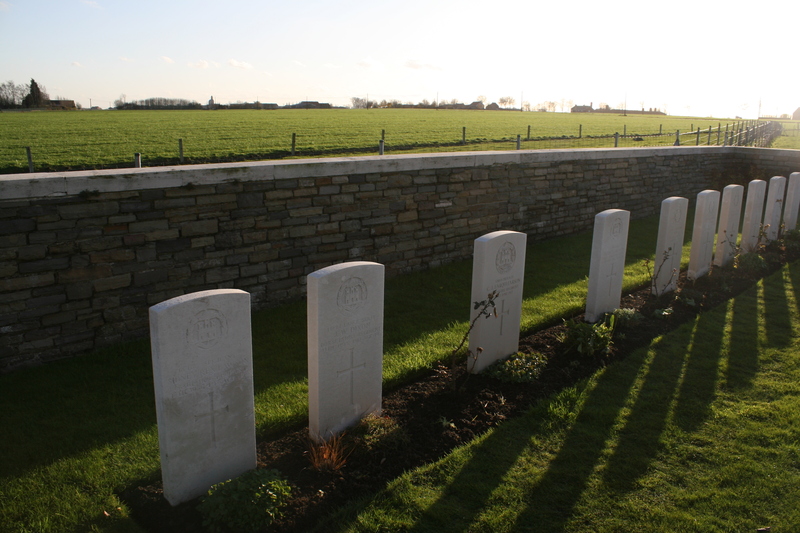 These men of the Dorsets, the earliest burials here, were killed at the end of the Battle of Messines and are buried in Row A along the eastern boundary wall. Hmm. Back to his old tricks I see. Let’s try again. 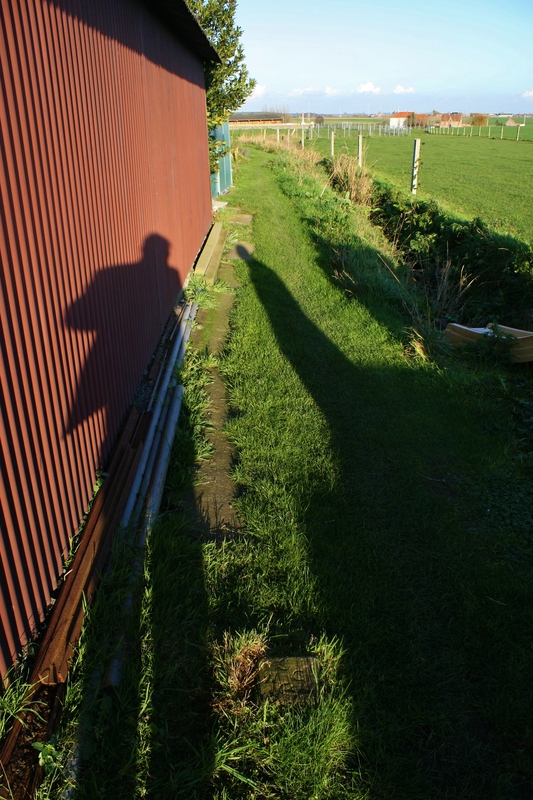 Ah, that’s better. 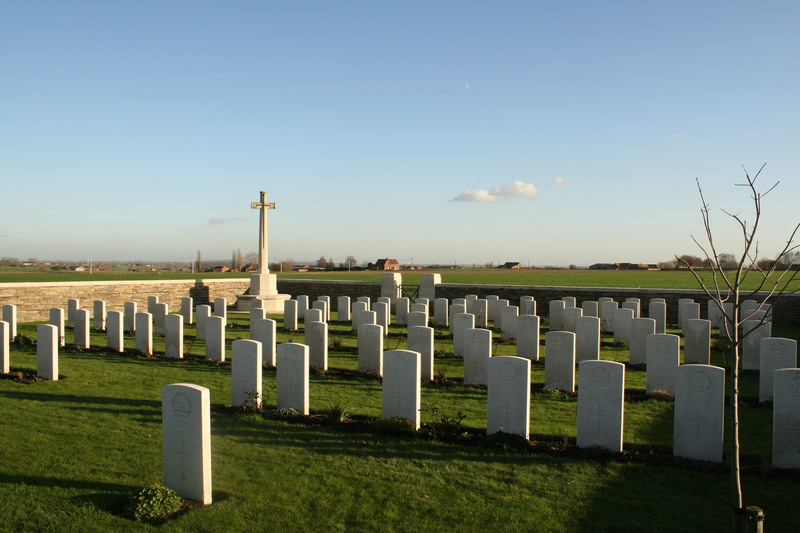 If you look at the cemetery plan (click the link below) you will notice that the cemetery entrance is no longer where it originally was. I wonder why it was moved. 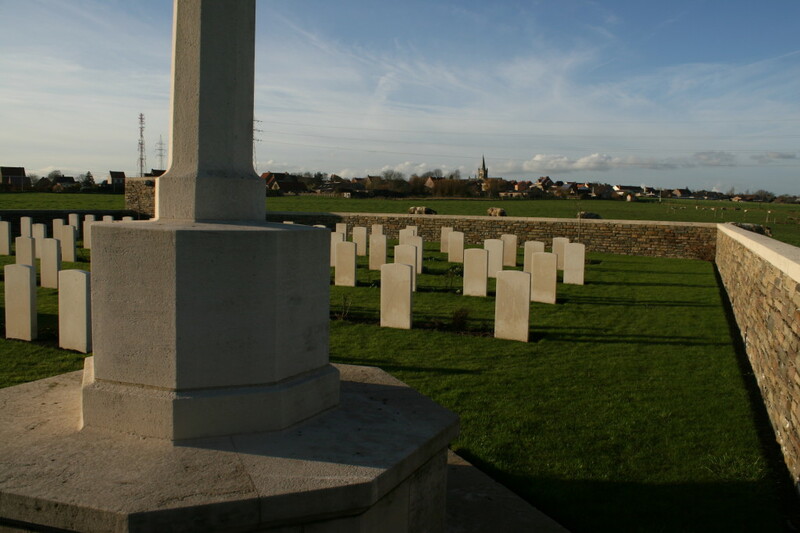 Anyway, the views above and below look across the cemetery from the northern corner. 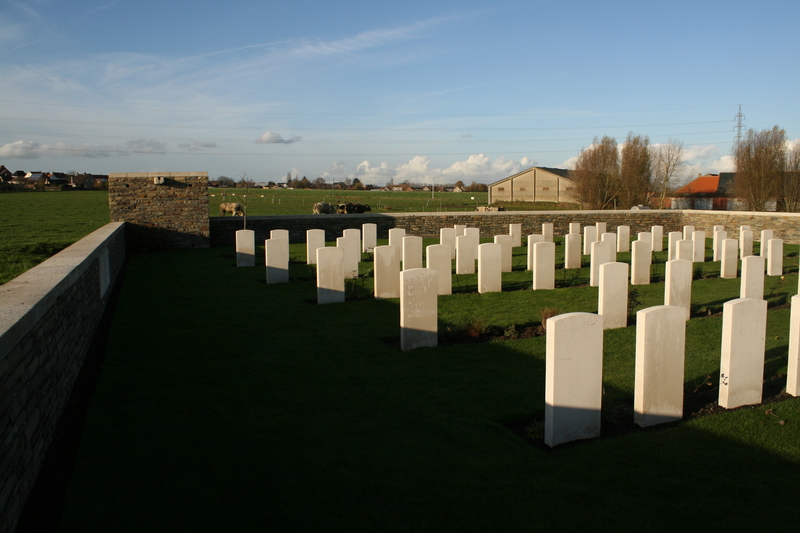 Note the five German headstones in the front row (Row G – also visible in the previous photo); there are 14 Germans buried beneath them, presumably captured men who succumbed to their wounds at the aid post here. 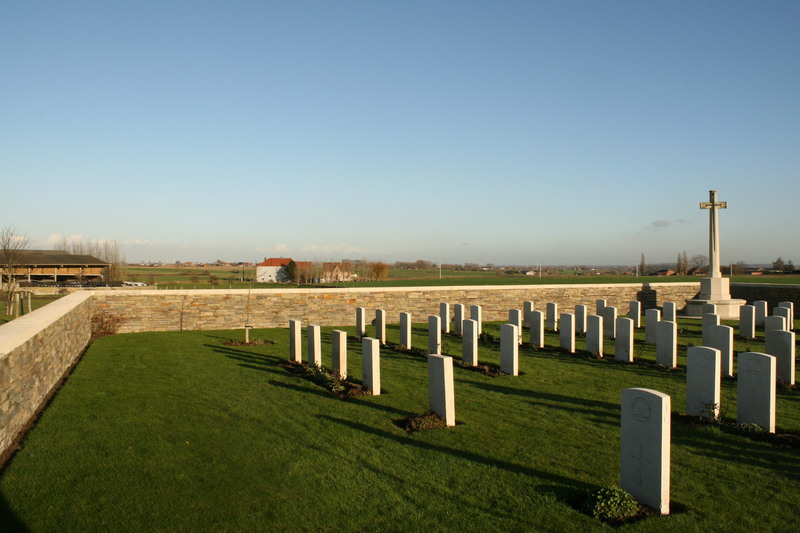 The cemetery was used fairly regularly until March 1918, all the burials after mid-November 1917, such as those in the foreground in the pictures above & below, being Australian. 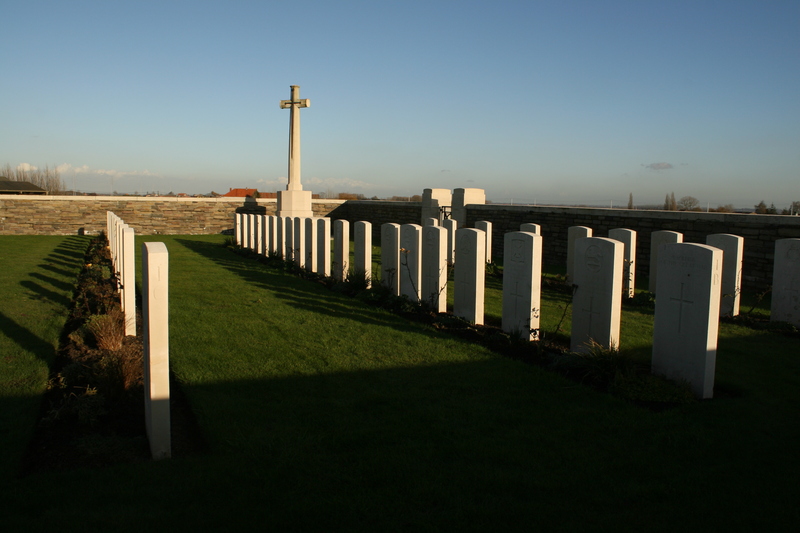 The Australians also used this place as an aid post in late 1917 and early 1918, as well as siting a Battalion headquarters here. 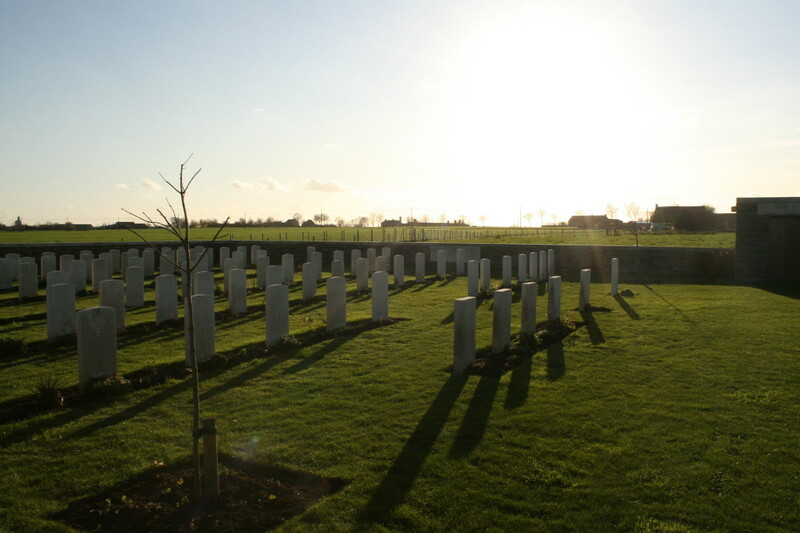 All but one of the 90 British and Australian burials here are identified. 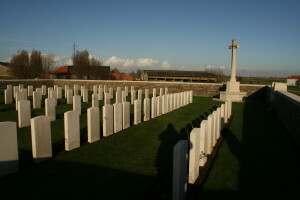 The majority of graves in Rows A (far right) to Row C (far left) are from June & July 1917, although other burials have been added to these rows at a later date, most notably a number of men of The King’s (Liverpool Regiment) buried in Row B in September. 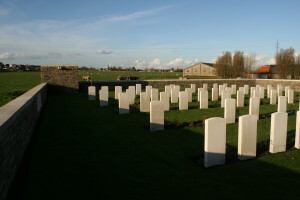 Views looking across the cemetery from the south corner. 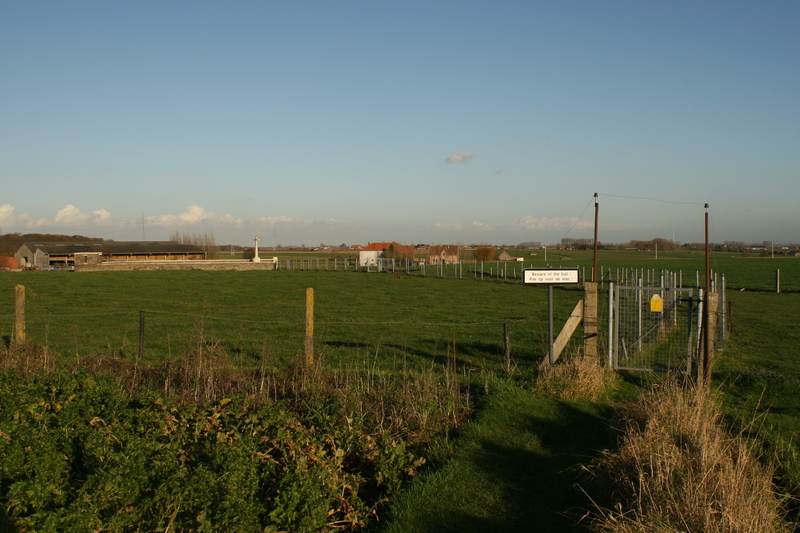 Looking north west past the Cross of Sacrifice from the eastern corner. 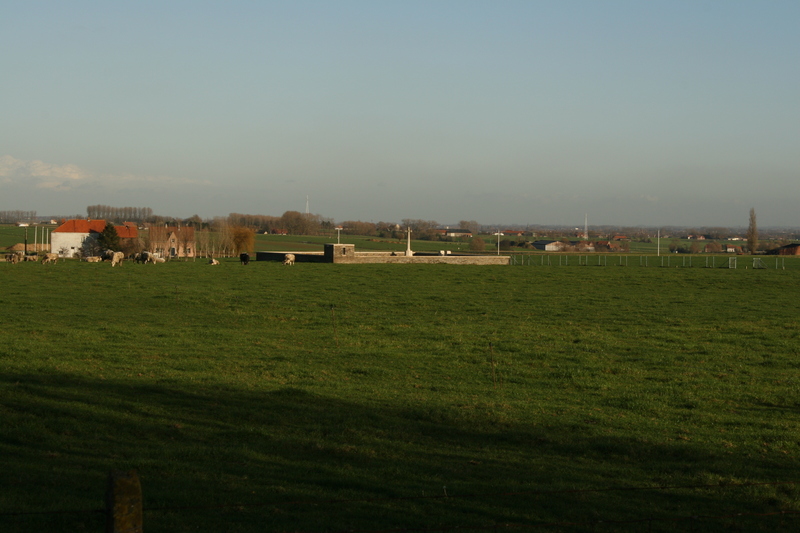 Wytschaete Church is clearly visible on the horizon, and you can see that the rise to the crest of the ridge here on the eastern side is considerably less pronounced than on the western side opposite the village, as we saw at the start of the tour. 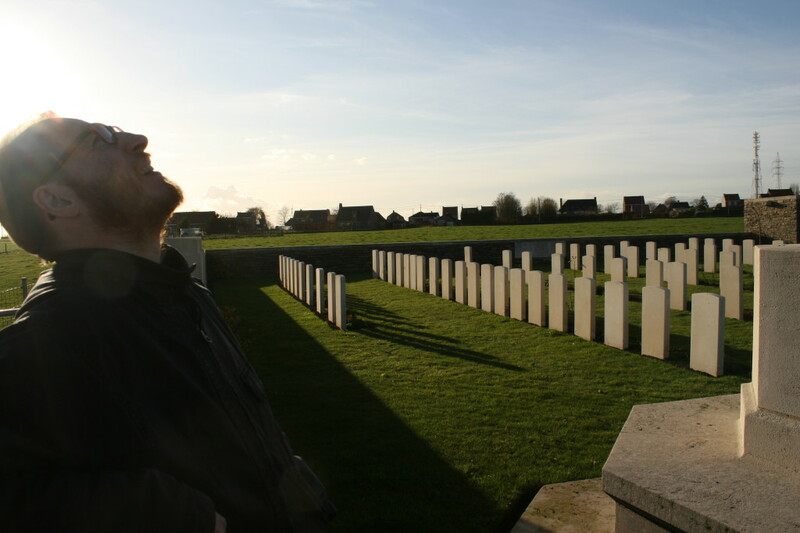 As ever, it’s time to move on. 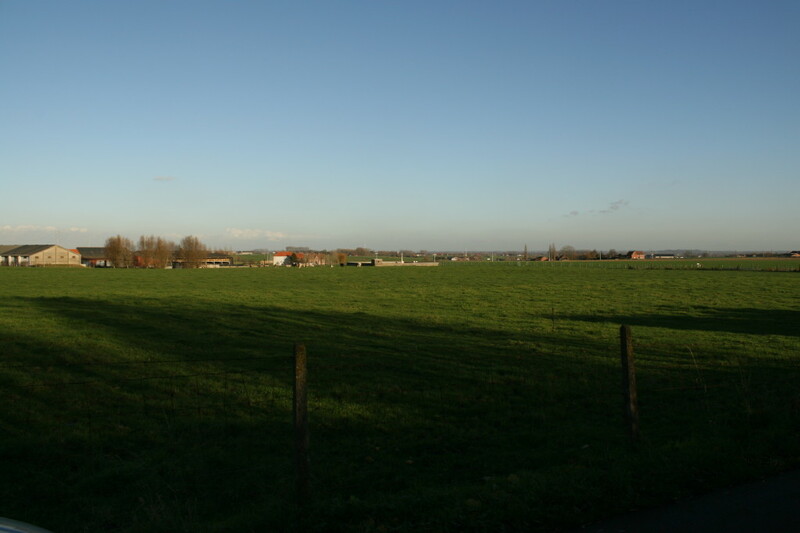 Our next stop is in Wytschaete itself. Hi Daran. I urge you to go! 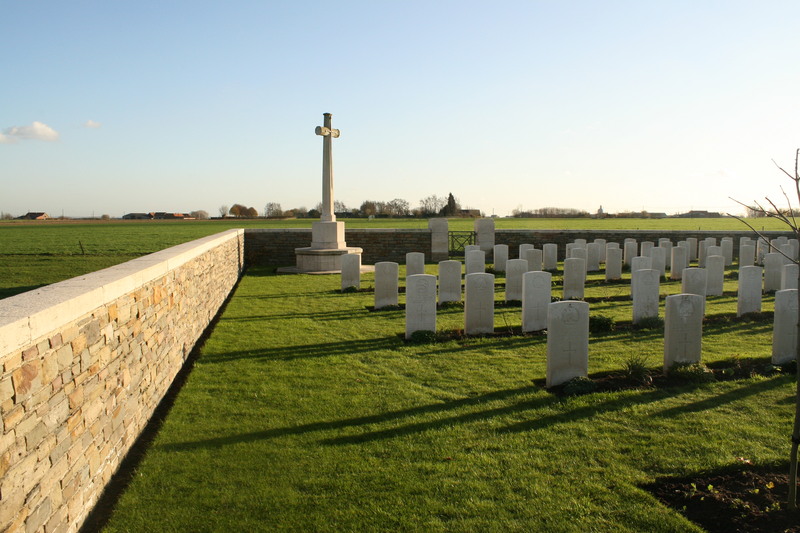 You won’t regret it – you could follow part (or all!!) 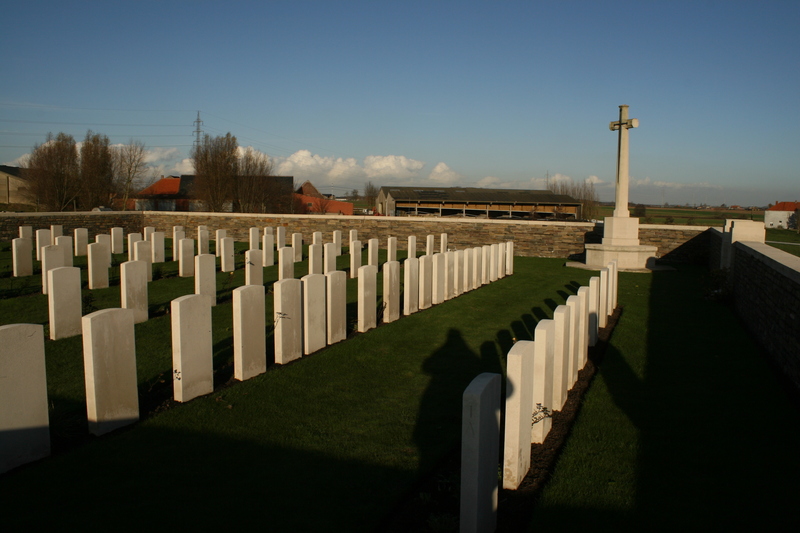 of this Messines Tour of mine. 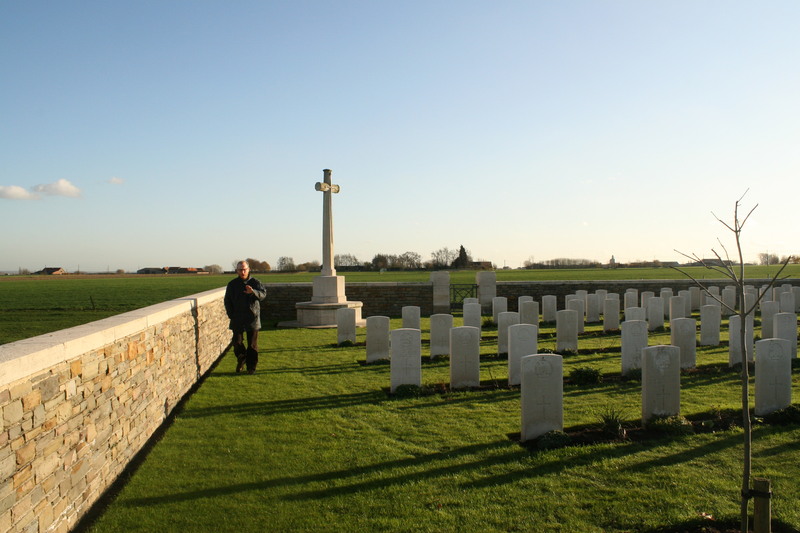 I shall be going over again myself in just a few weeks now. Can’t wait.